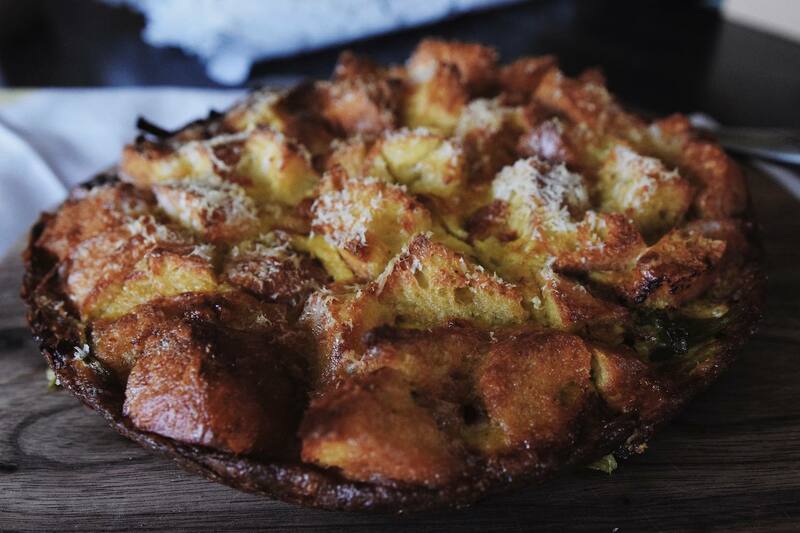 Many of you have asked me to share my best frittata recipe (actually you’ve asked me to share all my recipes!) so I’m happily obliging. I don’t want to jump the gun and say I’m going to be sharing all my recipes here, but I’m going to try to do more cooking posts on the blog. Well, since I cook a bunch, and am always doing crazy chicken dances on Instagram stories, it would only be fair to give you the recipes to all my delicious dishes – minus the dramatic bravado. I also thought I’d proffer some unsolicited table etiquette as well as hosting tips, because there’s nothing worse than going to someone’s house and not being aware that you look like a pig when you take the last hor d’oeuvre without asking if anyone else wants it. (Also, the appropriate answer when asked if you want the last piece of anything by someone who clearly does, is “No, thank you,” even if you want it. He who asks first, receives). You see, you do have lots to learn. I hate to break it to you, but, when it comes to etiquette I’m worse than a Real Housewife of Potomac. But, let’s get to my best frittata recipe. 1 1/2 cups of asparagus, chopped into 2-inch strips and halved if thick. 1/3 cup of dried, hot cacciatore salami, cut into thin rounds, then quartered. Oven safe, nonstick 11 inch frying pan. Preheat the oven to 375 degrees Fahrenheit, and set the rack in the middle position. Prep all your vegetables: wash the asparagus and break off the ends where the stem snaps naturally. If the asparagus are thick (I always like to buy thin ones when I can) slice them in down the middle, lengthwise, to make them thinner. Then chop into equal, 2-inch strips. Kind of like little french fries. Peel the shallots and chop them into thin slices. Cut up the cacciatore salami – into 1/4 inch rounds (about the thickness of loonie!) and then quarter the rounds. Crack the eggs into a large, glass mixing bowl, add a splash of milk, a few shakes of salt and pepper, whisk together until fully mixed. Add bread. Let the bread soak in the egg mixture while you cook the vegetables. 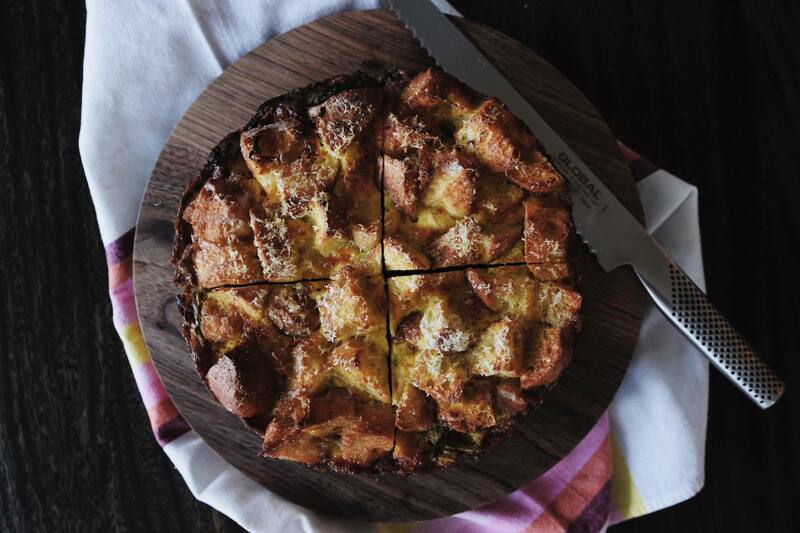 The addition of bread really makes this the best frittata recipe. Place the pan on the stove on medium high heat, pour about 1-2 tablespoons of extra virgin olive oil into the frying pan. Let that get hot for about half a minute, then add the shallots. Let the shallots cook for 2 minutes until they start to wilt, then add the asparagus. Season with a bit of salt and pepper and let the asparagus cook for about 5-7 minutes, until the start to get tender, but not fully cooked. Lidia Bastianich says to make a “hot spot” in the pan for new ingredients. So, clear out a little spot among the veggies in the pan to add the salami for a few seconds so it gets its time to shine directly in the olive oil. Allow the oils to release in the salami, for about 1 minute, then turn the heat to medium low. Pour the egg and bread mixture directly into the pan, carefully. Distribute the bread and egg mixture evenly in the pan, allow some of the bread to freely pop out – those bits will get extra crispy once it goes in the oven! Allow the crust to form on the bottom of the pan, about 2-3 minutes. 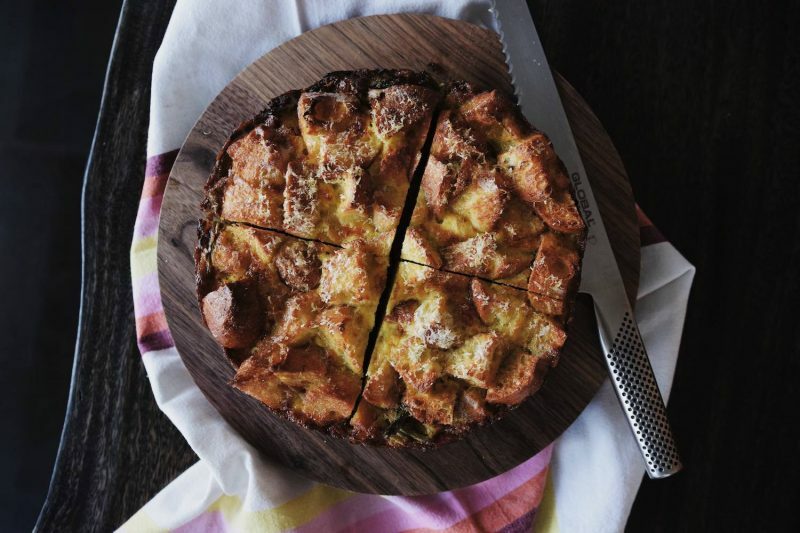 Grate some parmigiano reggiano cheese right on top of the frittata, as much as you like, and then pop it in the oven! Allow the frittata to finish cooking in the oven for about 18 minutes, or until the top is a nice, golden brown. Take it out of the oven, and let it rest for about 5 minutes before using a spatula to help slide the frittata onto a cutting board. Use a serrated knife to cut into rounds, either 4 or 8, depending on how many people you plan on sharing it with! Enjoy with a crisp glass of Sancerre, or maybe some champagne, if you wanna do it the jet-set way! And do let me know if you end up trying this recipe – or add different ingredients as the filling! I’d love to exchange cooking tips. Leave me a comment and let’s chat! Previous Post The Most Popular Gift to Give A Girl? Looks way delicious. Lovely recipe!